Traveling to a new country or city can be a daunting task, and with an endless amount of activities, Barcelona is no different. Luckily, there are many different blogs that cover the city and how to maximize your time in Barcelona. With topics ranging from housing to food and drink, blogs provide an in depth look at Barcelona, making travel much easier. In no particular order, here are the best blogs about Barcelona. Driftwood Journals is written by Ben Holbrook, who was born in South Wales but moved to Barcelona in 2009. This blog offers the perfect mix of a local’s and tourist’s point of view combined into one, making it unique. While he covers all of the main blog topics, Holbrook also has a section dedicated to cycling, his lifelong hobby. Additionally, Holbrook not only covers Barcelona, but has sections dedicated to other parts of Spain and Europe. This blog gives an in depth look from an unique point of view, making it a must read. Timeout features blogs for most major cities in the world, but do not let this mainstream approach fool you; they still offer some of the best activities and what to do in Barcelona. Timeout’s blog has a section updated weekly that features the best things to do in Barcelona that specific week. With this feature, it will be impossible to miss any of the action in Barcelona. 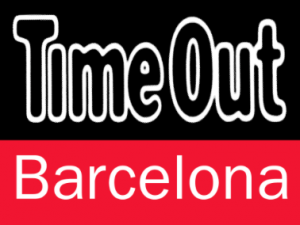 Timeout is the best blog in Barcelona to feature current events and what to do. Jessica, the author behind the blog Barcelona Blonde, was born in the UK, raised in the US, and lives in Barcelona. She uses her experience in travel and living in many places to provide her readers with the best tips possible. There is a section that specializes in adjusting to life in Barcelona and how to maximize either studying abroad or moving to the city. Additionally, Jessica offers her services to plan a personalized trip to Barcelona based off of your specific interests and experiences, making this a top blog on Barcelona. This blog’s name, Barcelona by Locals, does not lie; this blog is written exclusively by locals. The blog features exciting events around the city and information on how to have the best time in Barcelona. In addition to the blog, Barcelona by Locals features an in depth guide on how to operate in Barcelona. Although this guide costs extra, it is very worth while and contains all the information you will need to understand Barcelona. Homage to BCN features a variety of different writers that each bring their own unique perspectives to the blog. The day to day section of the blog goes more in depth than just what to do in Barcelona; it rather focuses on local topics and issues to educate readers on what current life is like in the city. Additionally, this blog features a “Perfect Day” section where the writers describe how they spent their perfect day around the city, inspiring readers to participate in these activities. Barcelona Home is the one stop shop for everything you will need to know about Barcelona. Barcelona Home features a basic guide to the city and the must sees focusing on mainstream attractions. It does not stop there as it also dives in depth into what to do in the city. Making this section even better is the numerous current events featured by Barcelona Home. Barcelona Home covers everything in the city, making it easy to search for one thing, then become distracted by everything else the blog has to offer. Barcelonas is a must read for anyone before arriving in Barcelona. The blog has different sections on the best places to stay in Barcelona and how to book them, as well as an in depth look at transportation in Barcelona and how to get around. This blog also has basic lessons on the geography of Barcelona so you obtain a basic understanding of how the city is laid out. Lastly, the blog features a long list of many things to do in the city and information about the main tourist attractions. Barcelonas is the perfect blog to obtain a fundamental understanding of the city. Barcelona Hacks slogan is, “Failing to plan is planning to fail,” which holds true with how important this blog is to read before visiting. This blog offers lots money saving advice to make your visit as cost effective as possible. In fact, it has a section dedicated entirely to providing the reader with discounts on tickets for events and attractions around the city. Following this blog’s advice will remove many challenges most unprepared tourists face while in Barcelona. Not a typical blog, elPeriodico is one of the most popular newspapers in Barcelona. It is a great way to stay up to date on current events happening in Barcelona. Following the news will get you outside of the regular tourist attractions and see what events locals are participating in. Additionally, this is a great way to learn about the Catalan culture. There is no better way to stay up to date on Barcelona. 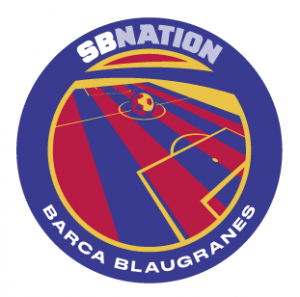 Barca Blaugranes is the SB Nation edition of FC Barcelona. The posts on this blog are written by highly informed FC Barcelona supporters, featuring the latest news on the club. Additionally, large discussion columns are open to the public offering the perfect medium to share your opinion. This blog is the best way to stay up to date on news about the football club. In Barcelona, football is important all 365 days a year, and staying informed on the club is a must.